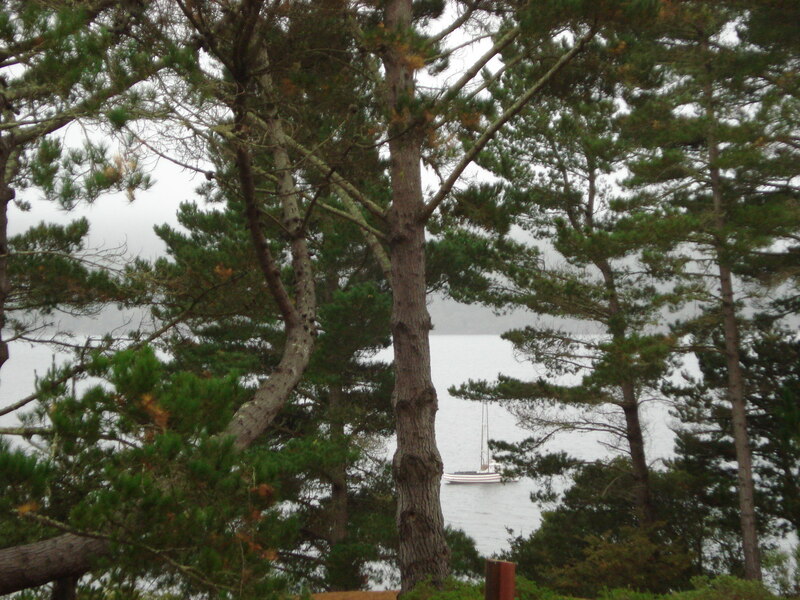 I love Saturday mornings at retreat…we’re settled and a new day is beginning. For me, an early riser, I often get to see the sun rise. On this particular Saturday, there was a little fog in the early hours (6:45 am) and I loved it…a sense of calm before the day’s activities began. I love breakfast and in the “country” setting it is even more special…strong coffee, good food, and early morning conversations with friends and knitters. After breakfast we headed off to our class rooms for our 3-hr classes…1/2 of us to Knit to Flatter and Fit by Sally Melville and Estonian Lace by Nancy Bush. (I encourage you to look at the class review by Kimberly at Craftini.) Two of us headed off to Buck Hall to set up for the evening events…the customer fashion show as well as a showing of yarns from Skein Lane...this year the offerings were MaggiKnits yarns. More about those yarns in a future post…I have several projects that I want to share with you. After our classes…we had a little time to wind down before heading off to dinner. Then we were off to the Customer Fashion Show at Buck Hall. 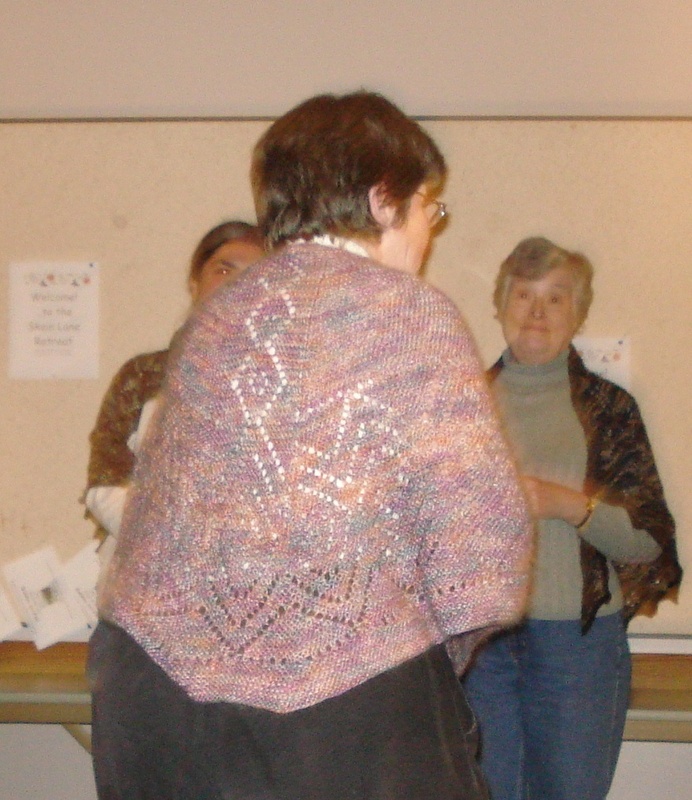 Participants are invited to show their knitting in categories and those were: Shawls, Stoles, and Scarves; Sweaters; Accessories; Sweaters and Jackets; and Blankets and Afghans. I believe the greatest showing was in the category of Shawls, Stoles, and Scarves. 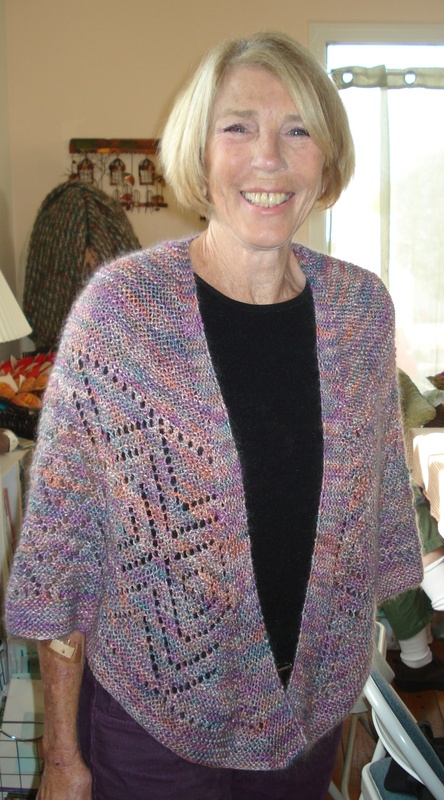 There were many beautiful shawls…and the first to be featured is that of Terry….one of the photos was at retreat….and the close ups were taken at Saturday morning Skein Lane Knitting Workshop. It is truly a beautiful garment. The yarn, a mohair blend from Art Fibers, worked up beautifully in this Faroese Shawl pattern featured on page 38 in Shawls and Scarves from XRX. A close up of the detail appears first. 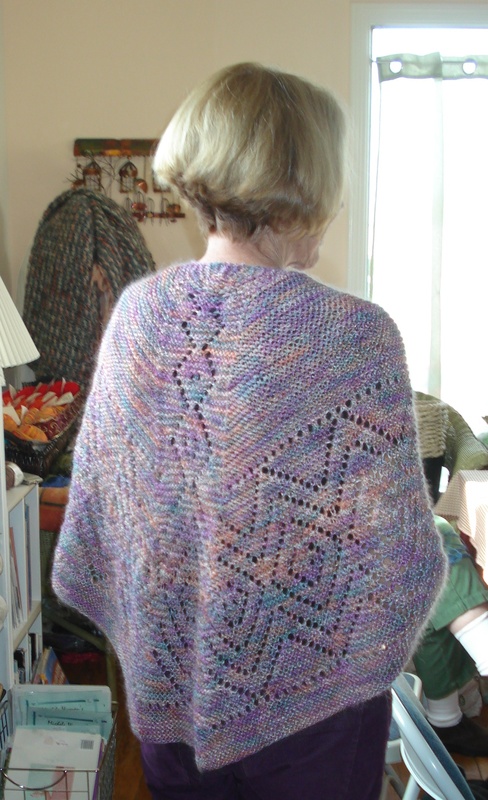 I know after I tried it on I want to knit yet more shawl…it was stunning and what a great drape! Have to say that these photos don’t do justice to the beauty of the garment…but trust me, it’s beautiful. 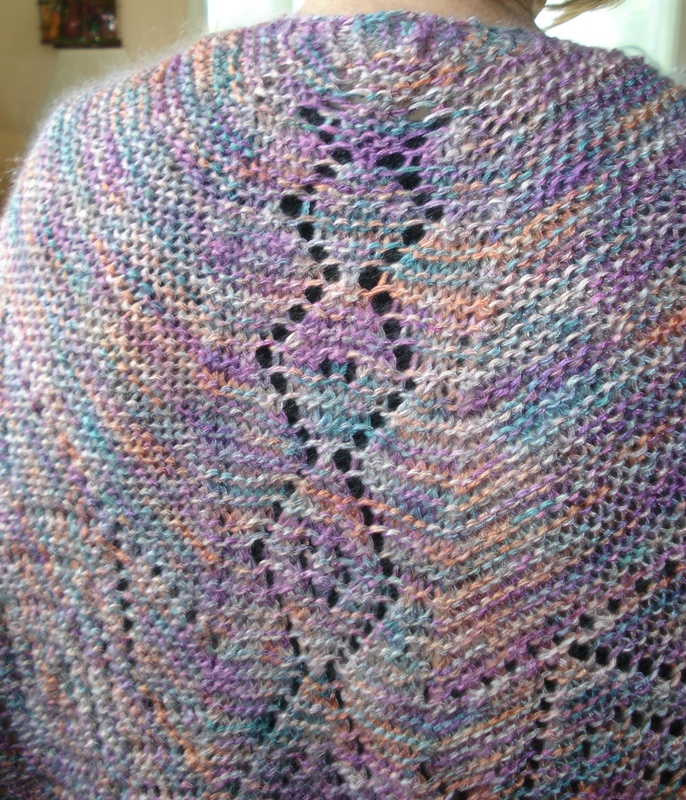 I heards lots of oohs and aahs both at retreat and knitting workshop.